The William Secord Gallery is pleased to present our annual exhibition of nineteenth century dog paintings. 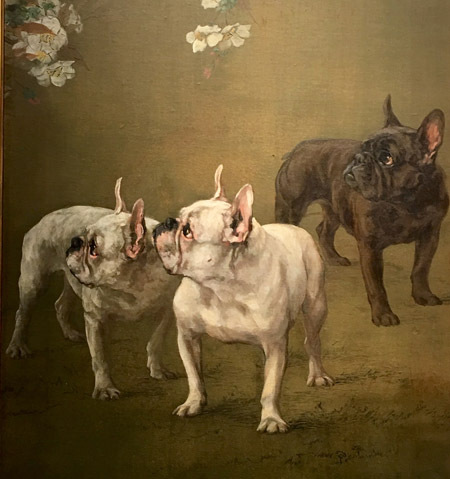 Timed to coincide with the 143rd Westminster Kennel Club Dog Show, this exhibition and sale includes paintings depicting dogs from the Non-Sporting, Sporting, Terrier and Toy groups. Included are paintings by Charles Olivier de Penne (French, 1831-1897), George Earl (English, 1824-1908), Maud Earl (English, 1864-1943), Thomas Earl (English, fl. 1836 -1885), John Emms (English, 1843 - 1912), Edmund H. Osthaus (American, 1853- 1928), Alexander Pope (American, 1849-1924), John Martin Tracy (American, 1843-1893) and Arthur Wardle (English, 1864-1949). This exhibition and sale will continue through March 15, 2019. The paintings in this exhibition are all available for purchase and all subject to prior sale.